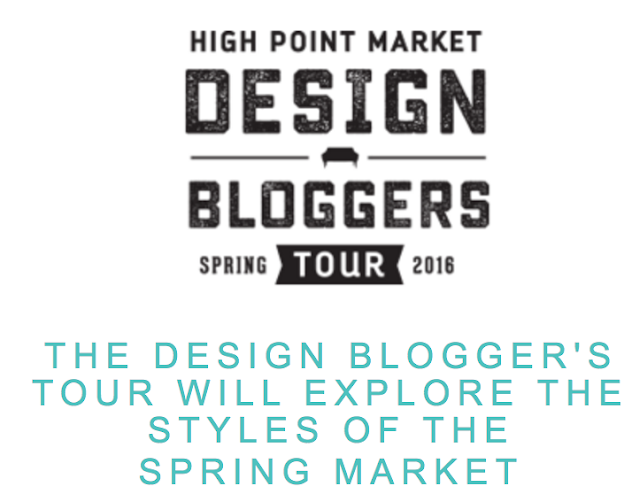 Don't Forget to Follow Our High Point Market Design Bloggers Tour Saturday - Monday at High Point Market! It's Here!! High Point Market Here We Come!!!!! Do you recognize these faces? If you don't make sure you get to known them well on Social Media before Saturday! 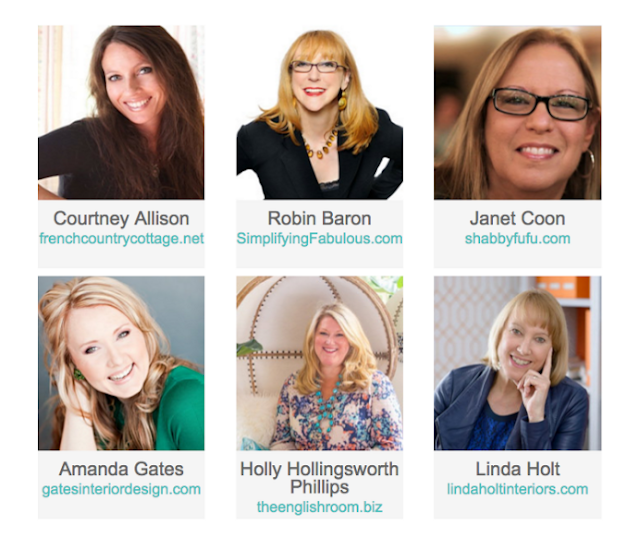 These ladies will give you the insider scoop on High Point Market! 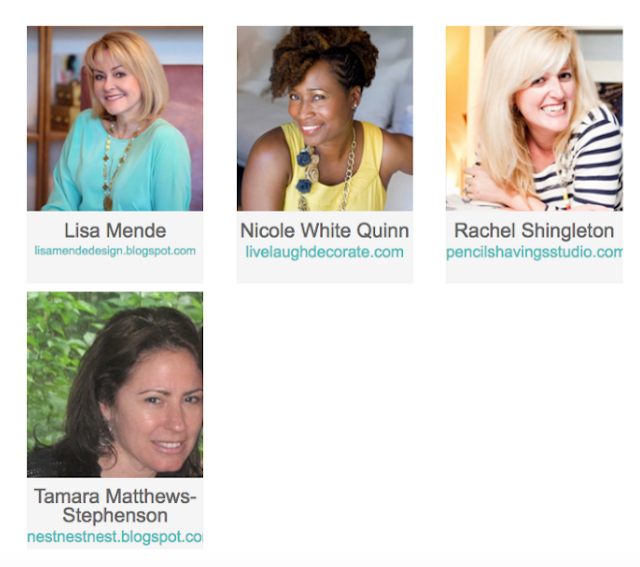 Esteem Media has chosen us to report our favorite finds during market! 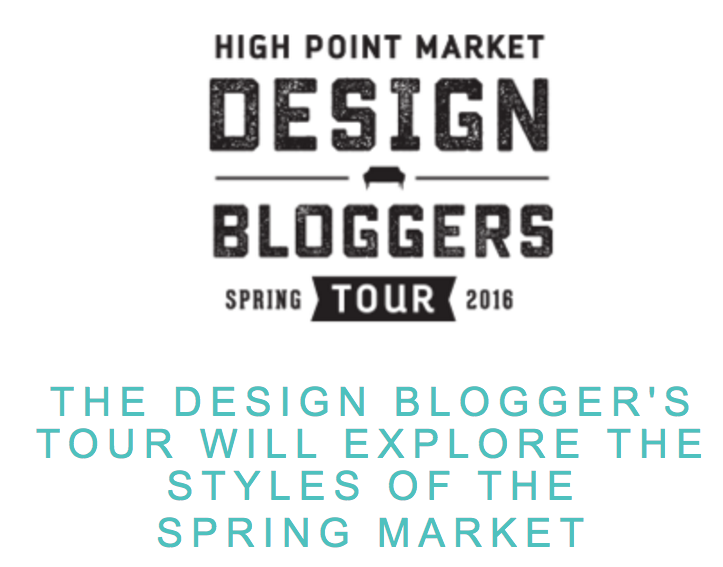 High Point showrooms this market!!! so make sure you sign up today to follow us all!! We plan to bring you the best of the best!! The Hottest Sandals for Spring 2016! I have been perusing the options of spring favorites while I can get 25%off with three day shippinng and free returns. This sale is for three days only so for the next three days I'm shopping at Shopbop and saving a little moola on spring fashions. Today, i'm shopping my favorite category of all, spring sandals! For the past few years, gladiator sandals have been really popular and remain popular this year but the most popular style seems to be a gladiator style with tassels, fringe and amulets. Tassels and fringe have been popular across the board in home decor and runway fashions. Since, I never met a tassel or fringe I don't like, these sandals are right up my alley. Have you gotten a pair yet? I bought this pair of tassel, bedazzled gladiator sandals last year and was excited when I discovered them last week. If you want to support the designer who started this craze, buy a pair from Elina, because I think her sandals were knocked off by all the majors this year. 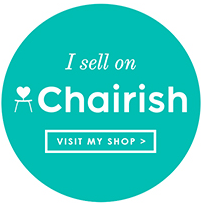 Elina has competition on esty now too. I also like a girl name Dimitria who has some cute styles that I'm eyeing this year as well like this pair , this pair and this pair, but unfortunately hers aren't on sale right now. She is now making kids sandals which are pretty darn cute if you have a little girl! As a matter of fact there are quite a few of these style sandals on etsy, if you go there just put greek sandals in the search bar or click here and you will find them. I love the various charms and pom poms Dimitria adds to her sandals. I enjoyed the pair I bought so much last year and got compliments each time I wore them. Fair warning! You must be prepared to jingle and jangle when you wear them though! Do you pinpoint categories of need when buying your shoes? I always try to choose my favorites from each category to make sure I have all my fashion needs covered! I'm being more selective about what I buy these days because I've reached the phase of my life where less is more. "Buy less of everything and only what you truly love"